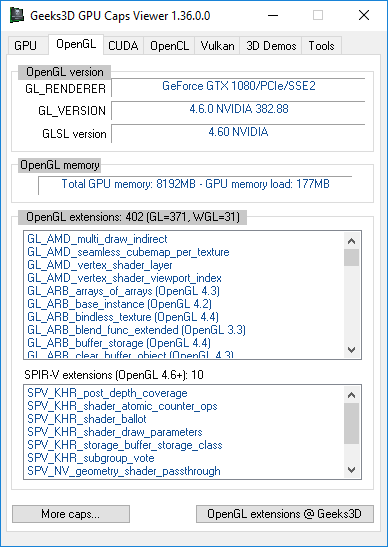 GPU Caps Viewer 1.36.0.0 is available with OpenGL 4.6 support. Hello. I have a request. Please do not paint background White on TextBox and Label. Will try to fix this. I just added a new version v1.36.1.1 with custom color disabled. 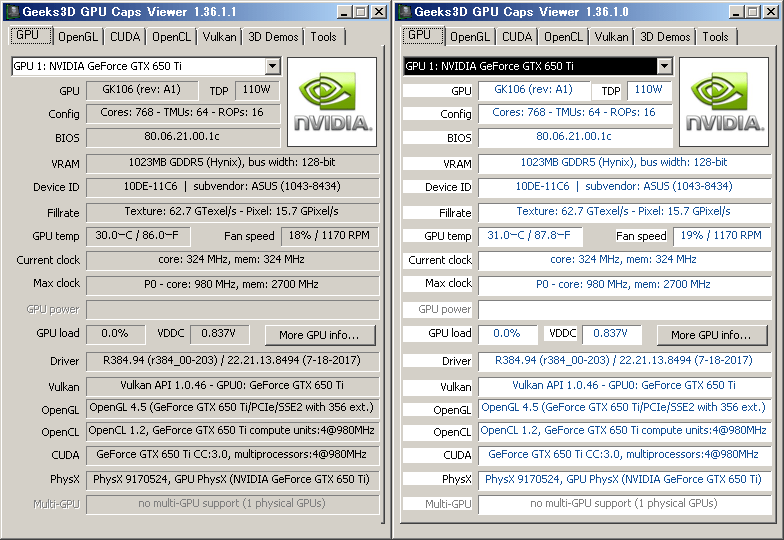 You can find the exe in the ZIP version of GPU Caps Viewer (GPU_Caps_Viewer_v2.exe).